The Portland International Test Rose Garden is one of the most beautiful places I can imagine and it is just a few miles from our house in Portland. This has been a slow , cold and rainy spring and the roses are coming on late….and as always…. never disappoint!!!! I was there at about 9:00 AM to catch the best light with a whole lot of other photographers. MMMM they served great coffee too so I was in my element!! I brought my new Sigma F1.4 55mm lens out for it’s first real field trip and was thrilled with the results. This is not really a floral closeup kind of lens, but with the right conditions and enough stubborness on my part, I was determined to make it happen!! Read below the thumbnails to find out a bit more about the gardens…I hope you enjoy viewing these beautiful flowers as much as I did photographing the. We plan to bring the chows back next weekend after their bath for a photo shoot while the roses are in full bloom!! These shots truly need to be seen large in and in their full glory. Enjoy the show!!! In 1888, Georgiana Burton Pittock, wife of pioneer publisher Henry Pittock, invited her friends and neighbors to exhibit their roses in a tent set up in her garden. Thus began the annual rose show for Portland Rose Society. Jesse A. Currey, a former Rose Society president, convinced city fathers to inaugurate a rose test garden in 1917 with the support of the American Rose Society, City officials, and civic –minded citizens. At that time, Portland had 20 miles of rose-bordered streets – a strategy to draw attention to the 1905 Lewis and Clark Centennial celebration. As a result, Portland was dubbed “City of Roses”. The garden was a perfect opportunity for enhancing that reputation. Founded in 1917, Portland’s International Rose Test Garden is the oldest official, continuously operated public rose test garden in the United States. 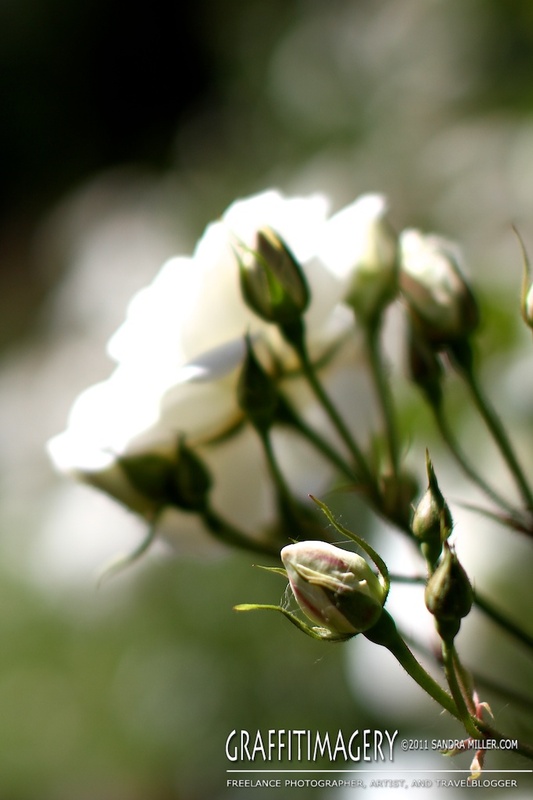 In the beginning, even though World War I was raging in Europe, hybridists sent roses from around the world to Portland’s garden for testing and to keep the new hybrids safe from being destroyed by the bombing in Europe. THIS UNUSUAL ROSE IS CALLED COFFEE BEAN…ONE OF MY FAVORITES! Sandy…..you said this lens is not really a floral kind of close up lens……Wow…..you sure got some wonderful shots! absolute perfect day for it, and the colors are incredible. not knowing much about cameras, what type of lens is this and what would you normally use it for? you should make a book of exquisite florals….roses…..just from today!! The lens has an aperture that opens quite far (to F/ 1.4) which is how I get the background blur or “bokeh” effect. Depending on where I set the aperture I can get more blur or less…I change it for pretty much each photo with this lens. If I want the background to blur nicely, the closer I get to the subject (in this case a single rose) the less of the rose that will be in focus..the lens is so accurate at focusing where you want the sharpness to be that it’s easy to accidentally end up with only one petal in focus.. It’s super precise and sharp so it takes a ton of practice and experimenting to take the closer shots. I love the 3 distinct layers of blur in this . Thanks for asking about the lenses Kathe. It’s fun learning new ways to get the most out of my camera. I bought this lens mostly to teach me to use more of my manual settings and it’s certainly doing that!! Learning a lot (and fighting some frustration too of course with my eyes ) but I’m so glad I dove in and made this purchase!!! Big hugs girlfriend….your necklaces should arrive very soon BTW!!! Thanks again! Gorgeous shots! I can almost smell the roses.